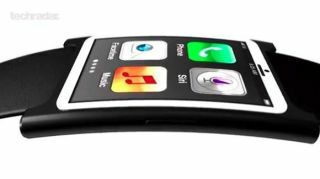 How close will it look to TechRadar's iWatch design? Hon Hai Precision - aka Foxconn - has announced that it's launching its own smartwatch, which will be able to connect with the iPhone. Now we know what you're thinking. No, this isn't the official iWatch: Foxconn is rolling this out as its own product. But it's going to be packed with a truckload of features we'd expect to see in Apple's very own offering, such as checking phone calls and social network updates. As well as being able to pair with your iPhone, the watch offers a load of fitness applications, able to measure your respiration rate and heartbeat. The news comes from Want China Times, which also claims that Foxconn is working to bring other features to the watch down the line, including a fingerprint reader. No name has been given to the mysterious wrist device yet. Fox Watch? Smart Fox? Your guess is as good as ours. Of course, this keeps the fire stoked while we anticipate the rollout of Apple's very own iWatch (or whatever it's going to be called), as well as Google's, which we heard a bit more about yesterday. Meanwhile, Sony must be hoping that announcing its SmartWatch 2 earlier this week has given it an edge on the competition.